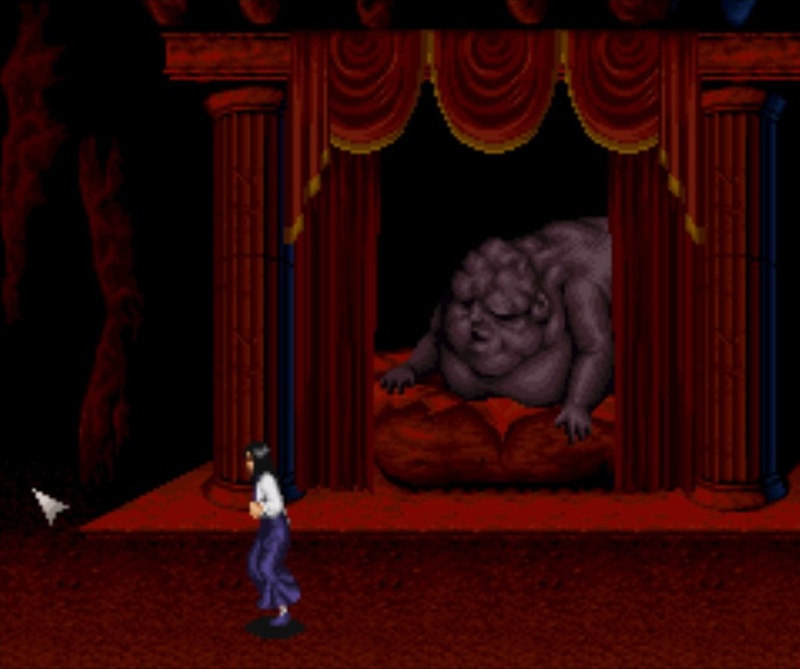 “Clock Tower: First Fear” is a survival horror point-and-click adventures game developed and published by Human Entertainment for the Super Famicon in 1995. It is the first installment in the Clock Tower series. 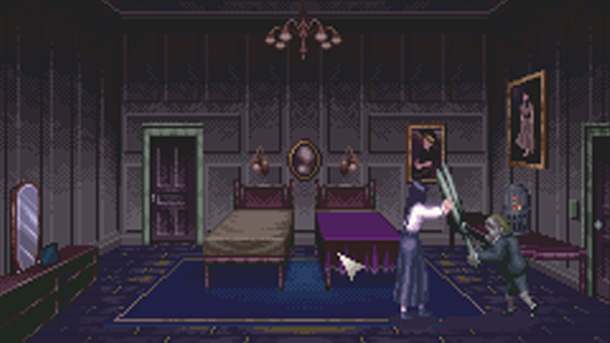 The game utilizes a point and click interface with the player controlling a cursor to direct Jennifer’s actions. 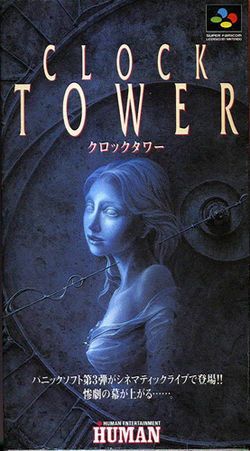 Much of the Clock Tower’s plot and artistic style was inspired by Italian horror director Dario Argento. In particular his movie “Phenomena” featuring a girl with long black hair that can communicate with blue-bottle flies that help her track down a serial killer. Crazy, right? Jennifer is an orphan from the Granite Orphanage in Romsdalen, Norway. She and her friends Laura, Anne and Lotte are adopted in September 1995 by a wealthy recluse called Simon Barrows. Simon lives in a mansion known as the Clock Tower– mainly because it has a huge clock tower in it. After they arrive at the mansion, Mary (Mr. Barrow’s wife) leaves to find Mr. Barrows, but she takes a lot of time doing this. Jennifer goes to investigate, and hears screams coming from the living room. When she returns the lights are off and the girls are missing. After going to find them Jennifer finds either Laura or Ann killed in the tub in the downstairs bathroom. From its waters appears Scissorman: a murderous little boy with deformed features that wields a huge pair of scissors. Some of the encounters with Scissorman depends on the players actions. In my play-through Scissorman appeared in the downstairs bathroom, falling down from a big stained-glass window after killing one of Jennifer’s friends, and a music room after playing a combination of music notes. I don’t want your scissors! Stop trying to give them to me! If you know what to do you’ll survive your encounter with Scissorman. If not, it’s going to be a looong night! Hint: You gotta hide, you gotta run, and you gotta find ways to trick him and throw stuff in his way so that you can escape. As you investigate the mansions, you will find various clues as to what happened to Mr. Barrows, and why Mary was acting so weird when she brought the girls to the mansion. You have various encounters with Mary Barrows which lead you to know how she truly feels about Jennifer and her friends. In the first one she finds Jennifer in the room with the Knight’s armor and gives her a spiked drink. After this Jennifer awakens in a jail cell, the one where Simon Barrows is. Later on, she shows up in the Catacombs. Spooky! A. Find Simon Barrows trapped in the Jail Cell. B. Discover her father’s corpse. If she finds her father’s corpse, there’s a letter where he’s found that tells of his account about Mary Barrows and her twins, Bobby and Dan. It says that he was trapped there for three days, until his death on November 10, 1986. If you find Mr. Barrows instead, you’d best bring him a Ham or death awaits you. Simon Wants His Rum Ham! After Lotte rescues Jennifer, she is killed by Mary. Jennifer confronts the shotgun wielding psycho for killer her friend, and then runs back into the mansion. 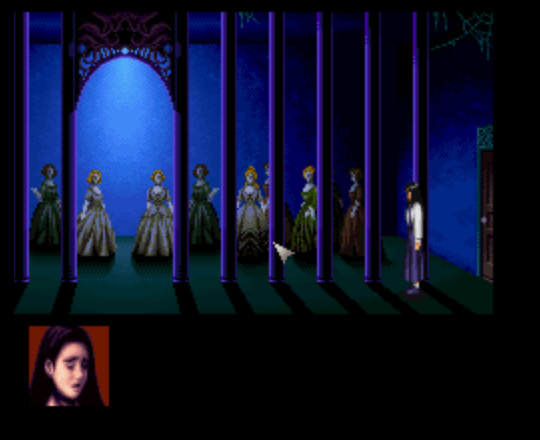 The final encounter with Mary is in the Clock Tower, where, depending on what you have done throughout the game, Mary dies in different ways. For instance, she could be electrocuted or fall out of the tower and splat on the ground. After many more encounters with Scissorman, Jennifer visits a small occult-looking church. Hint: If the player has collected all the items and clues, Jennifer can access the underground catacombs of the mansion. In the catacombs Jennifer sees a cloaked figure walking ahead of her; this is Mary. If Lotte did not have to rescue Jennifer from the jail cell, she can be found dying at an altar. There Lotte tells Jennifer about the switched in the Clock Tower. Uh…is that a giant deformed baby?! In the catacombs Jennifer finds a room, where she discovers Dan Barrows. Dan awakens and chases Jennifer to a steep cliff. She successfully climbs over, knocking down a can of kerosene which splashes onto a nearby candle. This triggers an explosion that burns Dan alive, and Jennifer rides an elevator out of the catacombs. Jennifer’s last encounter with Scissorman is in the Clock Tower. After activating the clock bells, the sound disturbs him and he falls to his death. Mary is pecked to death by crows that Jennifer released earlier in the game. So there’s various endings depending on what you have done throughout the game: there’s nine different endings in total, only some of them result in Jennifer getting out of the mansion alive. 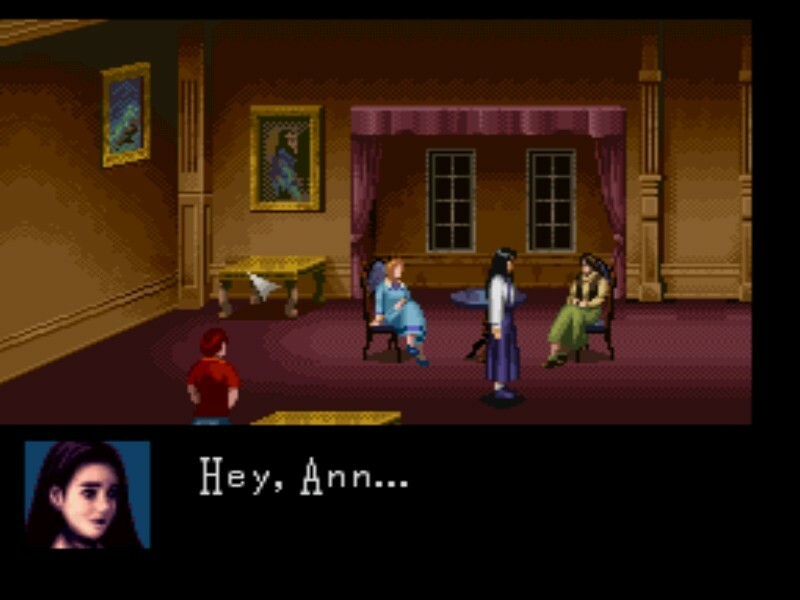 If Ann (or Laura) has not died yet, then the survivor reunites with Jennifer at the Clock Tower. There are three different endings that I know of, but there might be more for people to discover for themselves. Since this is a Point-and-Click Adventure, you have to click on doors, statues, and other things to advance. Throughout the game you need to find various items and depending if you get them all or not you’ll get the different endings. So it kind of becomes a treasure hunt to find all of the items. Some of the things you’ll need to find are a ham, insecticide, a rock, and three keys. Like most games, the keys are required to unlock doors that lead to new levels of the game. During the game, pay attention to the color of Jennifer’s picture. Blue is normal Strength. Green is moderate Strength. Brown is caution. Red is near death and low strength. Depending on the color of the picture, you will know if you can deflect attacks or not. When her picture window is red, you can use the panic button, but environmental dangers that need strength to survive will kill you instantly. You lose strength from encounters with Scissorman and running around too much. If Jennifer stays idle for a moment she can regain her strength when she sits to rest. Also, her reactions to the environment may be helpful. The game over screen says “Dead End.” You can continue from where you last entered the room when you click “Continue” on the main menu. Overall a mysterious, tense horror game that I recommend you play at least once. “Clock Tower” is a classic survival horror game that really is worth playing. Tagged Clock Tower, Dario Argento, Phenomena, retro game reviews, Scissorman, survival horror game.